Following successful funding on Kickstarter, in 2014 I wrote and self-published Jura Wine, the only book in English on the wines of the Jura, which won the award in the Drinks category for the André Simon Awards 2014. 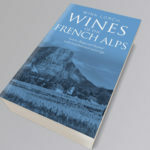 My second book, Wines of the French Alps, Savoie, Bugey and beyond will be published in spring 2019, part funded by another successful Kickstarter campaign in 2017. Posts on this blog include articles on wine, travels, and occasionally personal articles. You will also find pages and links for the different wine communication aspects of my work. You can also support me, by buying the Jura Wine book here (rather than anywhere else!). Advanced sales of Wines of the French Alps will begin soon. In 2007 launched Wine Travel Guides – the domain names associated with this website are now for sale. See full details on my LinkedIn Profile. In 2011 Wink won the prize for ‘Best Wine Tourism Feature’ in the inaugural Born Digital Wine Awards. 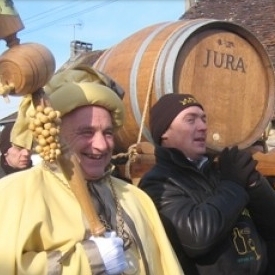 In 2012 launched a new blog, Jura Wine, Food and Travel – I still update this occasionally. June 2014-March 2015 Acting Editor of the magazine at Wine-Searcher.com, the most visited wine information website int he world. July 2015 – January 2017 Editor of Circle Update, the magazine for the Circle of Wine Writers. Shortlisted in the Louis Roederer International Wine Writers’ Awards for Online Commuicator of the Year 2017. Wine Writing – I am a member of the Circle of Wine Writers and contribute to various wine magazines and books. Wink Talks – I love to present talks and wine tastings for corporate and social groups. I was a founder of the Association of Wine Educators. Wine Travel – I am happy to lead tours in my specialist wine areas or advise on various wine tourism activities. 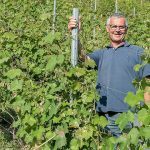 Social Media for Wine – You will find me regularly on Facebook, Twitter, Instagram and LinkedIn. I rent out an apartment in my French Alpine chalet offering seasonal/long-term rentals. Get in touch with me about any of the above. Connect with me on LinkedIn, Facebook, Twitter or Instagram. There is no point sending me wine samples for review as I don’t review wines on this blog – I will get in touch if I need samples for specific articles. Do send me press releases about wine or wine tourism, only by email please with small attachments. If you want to invite me to visit a wine region, I may be interested in wrting about it on this blog or elsewhere. I cannot guarantee a favourable review and I will always declare that the hospitality has been provided. I do not accept ‘placed’ articles. 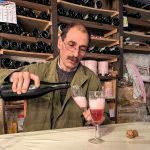 All articles on this blog are written by me and all articles in Wine Travel Guides and its blog are commissioned by me. Contact Wink preferably by email or telephone on +44 7785 555705.